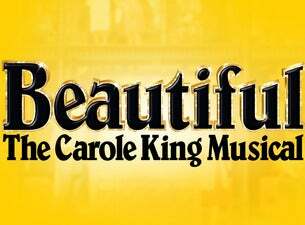 Broadway Sensation, Beautiful: The Carole King Musical is now playing at the Sydney Lyric Theatre and final tickets are now on sale! Critics have hailed it as 'A JOYOUS CELEBRATORY SHOW' (Daily Telegraph) that is 'ALL KINDS OF WONDERFUL' (Channel Seven). Featuring incredible songs that you know and love including; (You Make Me Feel Like) A Natural Woman, You've Got a Friend and Will You Love Me Tomorrow, Beautiful is a true story that’ll make you laugh, cry, and cheer for more!